Brush & Blush hosted the Spring Fling Easel Event featuring Frida Kahlo as the theme of the night. 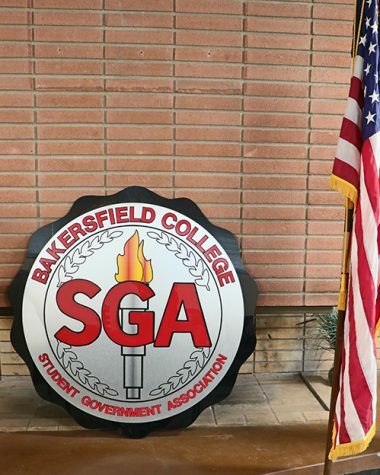 Bakersfield College students and their families were invited to celebrate Women’s history month during Spring Fling week in the cafeteria. The event began at 6 p.m. and offered snacks and refreshments. There were several tables with clean canvases set up for each person who paid to attend. Each station had several painting brushes, and paint. Attendees were given aprons to wear to keep their clothes safe. The paint that they use does not come out of clothing. In the front of the room, there was a completed canvas of Frida Kahlo, and a blank canvas for the hostess to use while teaching everyone step by step instructions. The event was very fast paced. It included mixing colors and a little bit of sketching before painting. At the end, each painting came out unique. There was not one painting that looked identical to what the hostess had created. One BC student named Sebrena, who would not provide her last name, mentioned that she had a great time at the event. “My overall experience was really enjoyable, and I like to see the Latino community come together to celebrate women’s history month,” Sebrena said. She added t She also mentioned that her last event she went to regarding women’s history month was the women’s march. Sebrena believes that art is not meant to be perfect, it is subjective. She recommends other people come to these type of events, and she hopes there are more similar events on campus. This was Brush & Blush’s first easel event at BC, so the time was extended thirty extra minutes and ended at 8:30 p.m.
Spring Fling week was on March 19-23. Many of the activities were related to women’s history month.